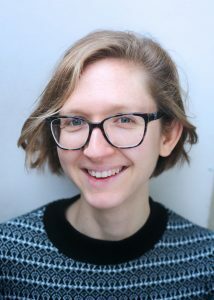 Clare Fisher was born in Tooting, South London, and now lives in Leeds. She studied History at the University of Oxford before going on to complete an MA in Creative and Life Writing at Goldsmiths, University of London. Clare’s multi-faceted career has spanned the creative industries. 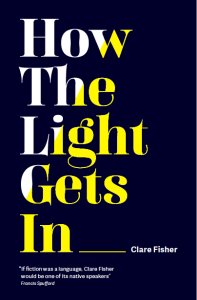 From working as a theatre marketing officer to a bookseller, Clare now runs the Hyde Park Book Club, teaches creative writing, acts as a freelance editorial consultant and is the author of two books, All The Good Things (2017) and How The Light Gets In (2018). I spoke to Clare about her work, literary interest in mental health and advice for aspiring writers. 1. Congratulations on the recent publication of your novel How The Light Gets In. Could you tell us a little about the book and your work more broadly? This book began life as a live art installation at Light Night Leeds several years ago. I was interested in how people find their way from the light to the dark and back again – in different understandings of light and dark, of the contradictions within and between them – and I wrote lots of short monologues exploring these questions. After the installation was over, I realised I had the beginnings of a collection. So I kept reading and writing and eventually I submitted what was a strange and fragmentary collection of stories, vignettes and what some might call prose poetry (though I don’t consider myself a poet) to Influx Press, and they said yes. In the meantime, my debut novel, All the Good Things, was published by Viking, Penguin. The two books are in some ways very different, yet both are motivated by voice and an interest in psychological states and relationships. 2. As you just touched upon, issues of mental health feature regularly in much of your work. What are your intentions in focusing on this subject? I didn’t set out to write about mental health; it was just that it kept coming up. Fiction, as a medium for exploring interior spaces, is bound, I think, to deal with it in one way or another. I’ve experienced some mental health issues myself and have watched a lot of people close to me suffer with them so I suppose there was a personal motivation, as well. I hope that, as with anything I write about, especially anything sensitive, I’ve written about it with honesty and nuance. I dedicated All the Good Things to ‘anyone who has ever felt like a bad thing’ because I’ve often felt like a bad thing, and I think a lot of people have and do; I wanted to give people some hope that they wouldn’t feel that way forever. 3. What drew you towards the short story form? It’s no easier to write a short story than a novel, but it is shorter. And when you are trying to squeeze writing into the gaps between your job and the rest of your life, short is a bonus. It also means you will actually finish things and learn from that finishing, rather than abandoning endless novels halfway through. This, at least, was my experience for many years. Writing short stories was satisfying in that you could create a complete world and experience in a short space of time, and experimenting with voice and form felt easier as the stakes were less high than in a novel-length work. Writing the very short stories in How the Light Gets In was actually quite addictive – like giving yourself multiple shots of espresso! 4. Tell us a little about how you got to where you are now. Did you always want to be a writer? Lots of writing and reading and not-knowing and more writing and more reading and a lot more not-knowing. When I was 22, I did the MA in Creative and Life Writing at Goldsmiths, which was great in giving me confidence, speeding up the learning I was already doing, and giving me insight into my strengths and weaknesses as a writer. A lot of people go on creative writing courses expecting a magic bullet or an immediate contract with a publisher – it’s not like that at all. It was another seven or so years before I got an agent and a contract for my first novel – years which contained a lot of different, mostly terrible, jobs, many abandoned novels and half-novels and many short stories of varying quality. Sending stories out to magazines and competitions, going to writing groups and swapping work with other friends who wrote all helped to keep me going. I didn’t always want to be a writer, no, but once I started writing I seemed unable to stop, and I was very bad at pretending I wanted to be anything else. 5. And finally, do you have any tips for aspiring writers? Read lots, write lots, don’t be afraid to share your work and to absorb constructive criticism. You can learn more about Clare’s work by visiting her Twitter, Instagram, website and Facebook.